Be a unicorn in a field of horses by hosting a unique water party with the Unicorn Water Slide & Bounce House Combo Rental! This colorful waterslide bounce house will fit all your little ones' unicorn party themes, while also keeping your guests both cool and entertained. 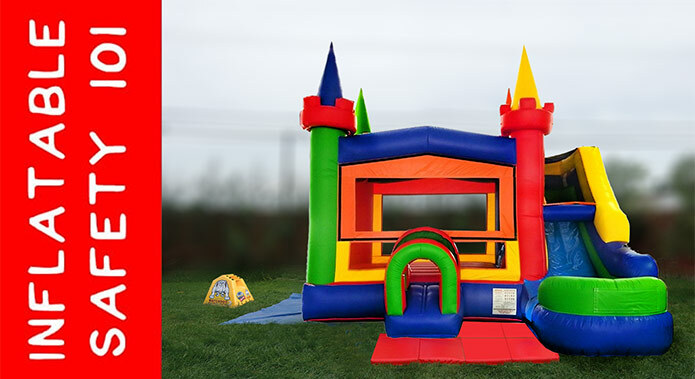 Your bouncers will begin their fun journey through the tunnel entrance into the large 15' x 15' bounce house area. But the fun doesn’t stop there - climbing the safety-padded foam steps from inside the bounce house to the 7' high enclosed slide platform , your little ones will enjoy a little relief from the heat under our custom misting sprayer, before sliding down the tunnel water slide to finish safely in the splash landing area. So let your little ones magically sparkle at your next event with the Unicorn Water Slide & Bounce House Combo Rental!